The form works going to my other emails but not to my yahoo account? The form's mailer is very important. 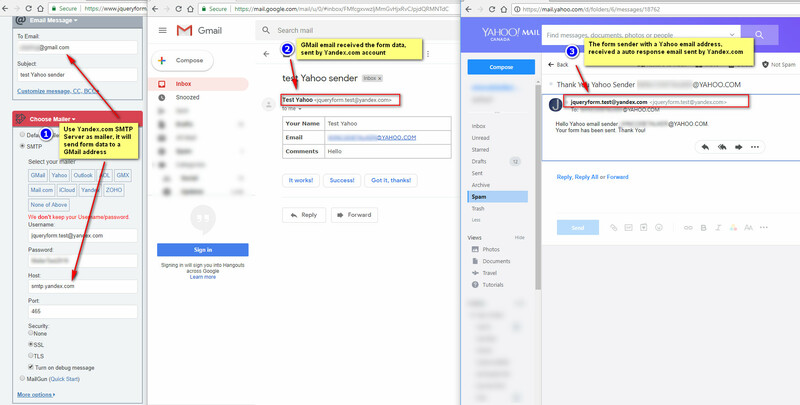 Depends on your form's mailer setting, Yahoo might reject (my assumption, not confirmed) a email if the email sent by your form has high score on their email spam detection calculation. Please config your form mailer, to use a legitimate email mailer, like Yandex.com in my test screenshot below, or use mailgun.com service. The mail delivery rate might be increased a lot, then your Yahoo account will receive emails as a result.